Governing is a challenging activity and was not meant to be easy. In the American republic, the struggle to find common ground is a constant challenge. The making of the Constitution and its structured conflicts between the states and the national government along with the establishment of political parties have triggered conflict in the United States for two and a quarter centuries. 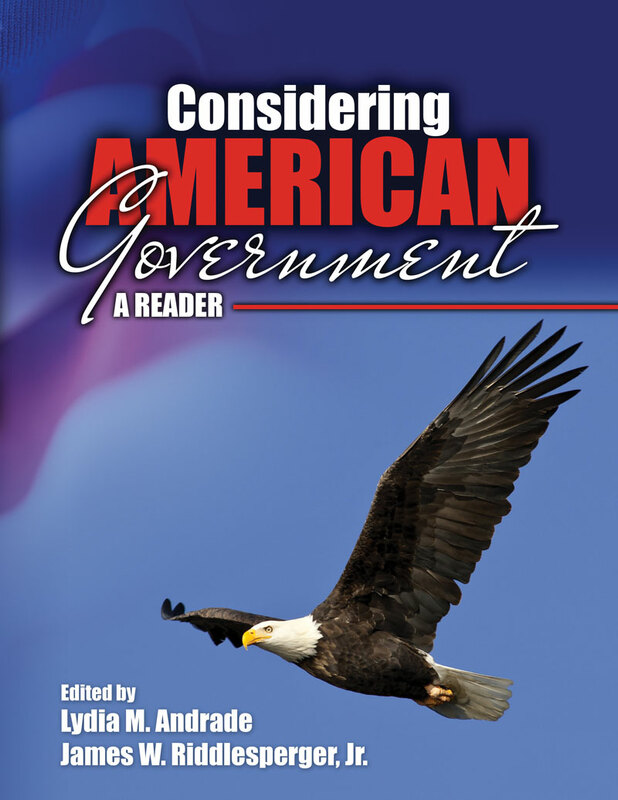 Considering American Government: A Reader, by Lydia M. Andrade and James W. Riddlesperger Jr, attempts to position struggle and competition in a contemporary context. Chapter 2 When They Say the Issue is Federalism, It Isn’t by James W. Riddlesperger, Jr.
Chapter 5 Americans Don’t Agree; So What? By James F. Sheffield Jr.
Chapter 9 Don’t Know Much about Judiciary by Joseph Stewart, Jr.